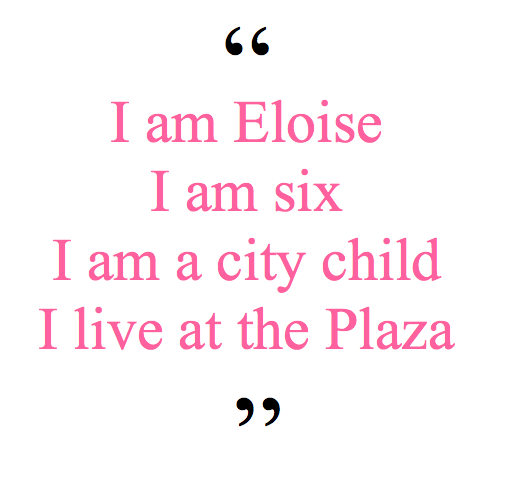 As a little girl stuck in suburbia and dreaming of big city living, as well as a generally selfish but well-meaning stubborn brat, Eloise was the character I most admired and still aspire to be. Forever crafting, pranking, and putting on a show, she is the most endearingly obnoxious little girl you’ll ever meet. 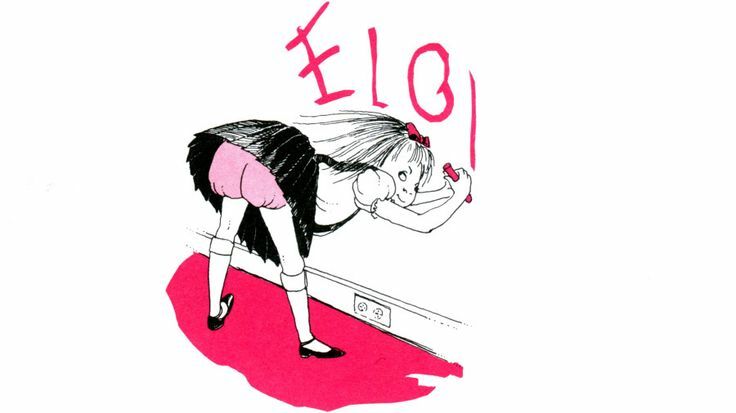 The best part about Eloise to me is that she embodies an attitude, not an age. 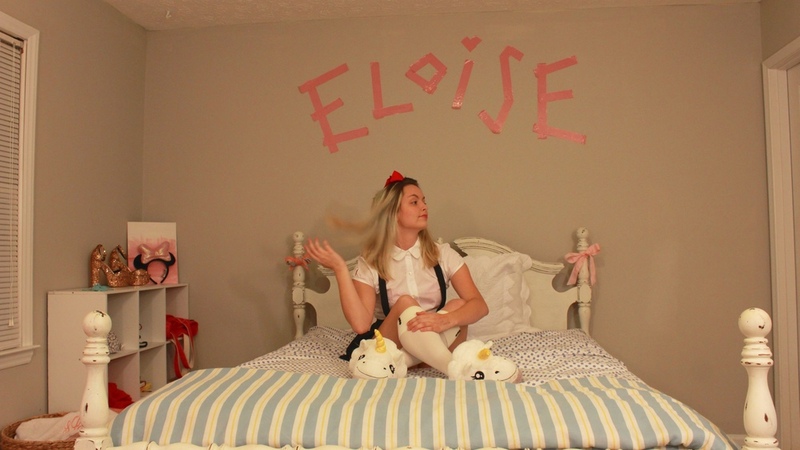 Dancing through her days with cheerful curiosity and a dash of mischief, Eloise represents the unapologetic enthusiasm I hope to always have in my heart. She also narrate her life to us in stream-of-consciousness, sans-period sentences, which Catie can tell you is my favorite way to speak and also to text her. 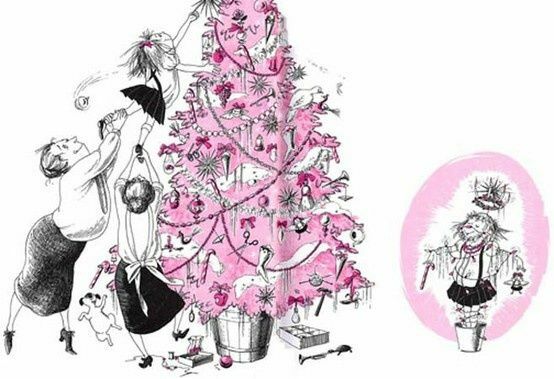 Written by Kay Thompson (and geniously* brought to life through Hilary Knight's illustrations), there’s a popular rumor that Eloise was based on Judy Garland’s daughter, Liza Minnelli, who indeed lived at the Plaza for a stint and saw little of her famous mother during childhood. 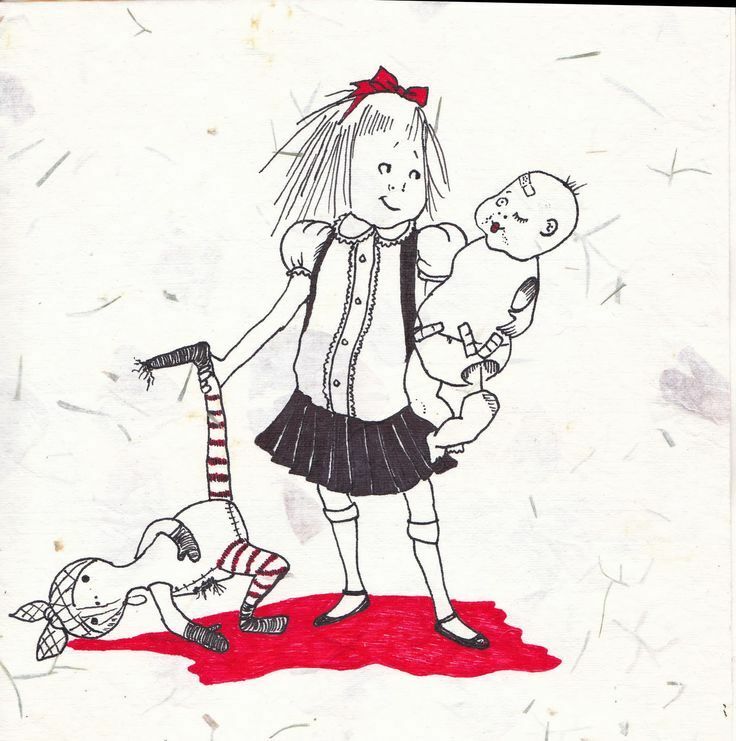 She also happened to be Thompson’s goddaughter. 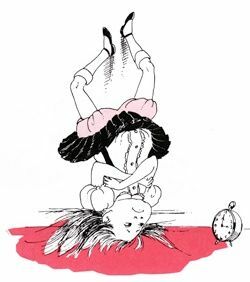 Vanity Fair described Thompson as “a nightclub entertainer with a six-year-old alter ego” (or just inner ego? 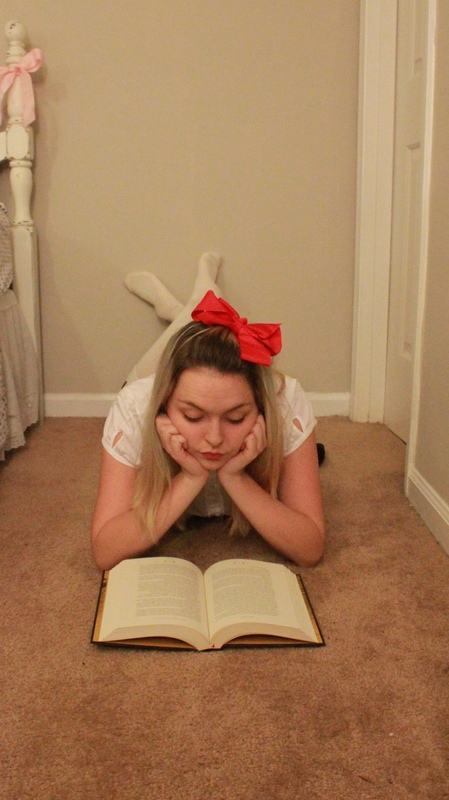 Besides age, they seem to be exactly the same) who sang and danced at the Persian Room and wore zebra printed pants, and Salon has argued that Kay Thompson was the so adamantly the only inspiration for Eloise that she took the books off the shelves when too many other childwomen like myself tried to claim the character for themselves. 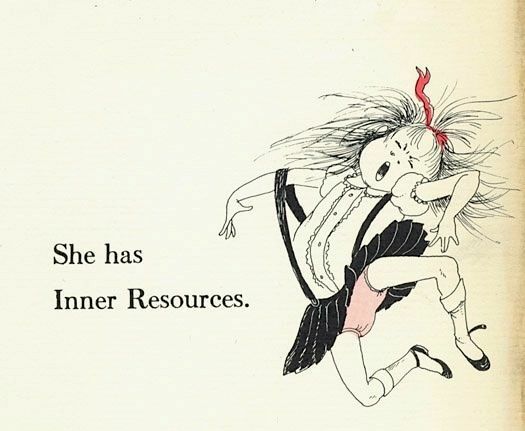 Regardless of who she is really based on, today I am stealing her for myself and it is rawther wonderful. 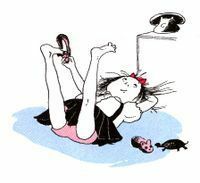 Eloise illustrations by Hilary Knight, Eloise in a cereal bowl by Man Repeller. 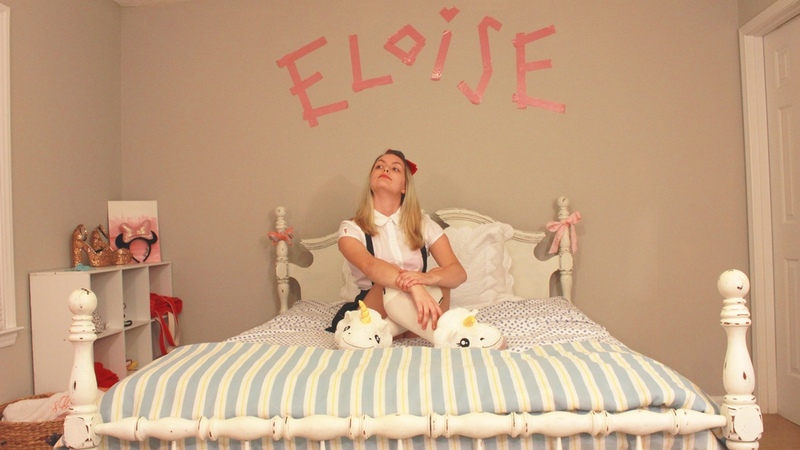 More on How To Eloise here. Stay fierce, for Lord's sake.